How to use localization menu in dashboard? I need to make translation to another language but in this menu I see only "en" and can not find any information about this feature. 3. In the Phrase field enter the phrase you need to translate keeping the original letter case (e.g. Add News). 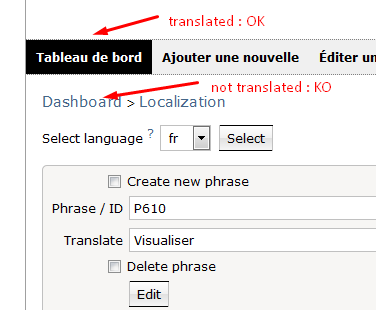 In the Translate field you need to enter the text you need to translate (e.g. Nachrichten hinzufÃ¼gen), and click Create. After the localization has been switched, all the phrases in the localization will be translated. Could you kindly specify what kind of text you wanted to translate and what words were not translated. It looks like the localization script does not translate everywhere. 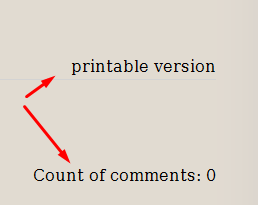 Maybe you could give us a list of files where the language strings are stocked ? I wanted to add localization menu on my website that is about STD Testing NYC . I was getting the similar problem but the solution you have given worked for me. Thanks for the help. Can anyone give the answer? Thanks for this introduction! It is quite complicated for me to clearly understand certain nuances.